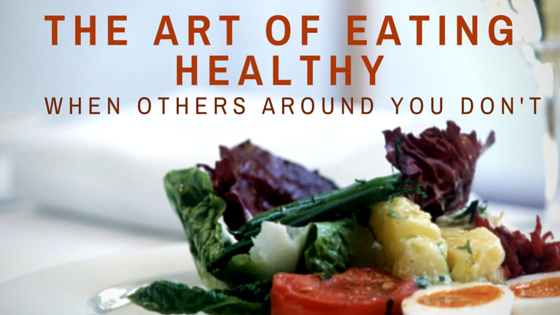 It can be really tough to keep up with healthy eating when others around us could care less. Eating healthy isn't something that is done on a whim. Rather it has to be thought out, a conscious decision, a resolution that has to be renewed otherwise it will be difficult! When my husband and I first moved back to Kansas and were looking for a house, we stayed with my parents. It was extremely hard to continue eating only big salads for dinner or not eating dessert since my mom made so much good home cooked foods. A lot of people are in this same situation whether their spouse doesn't care about being healthy, their children balk at healthy foods or roomates are constantly opening that bag of chips that we just can't resist. 1. Make certain foods off limits until a certain time. Set the goal not to eat anything that is sweet, or processed, or low nutritional value, or whatever your healthy eating habits entail, until after a certain time. Whether it's noon, 2pm or not until after dinner, if you put a time constraint on yourself you may find that once you pass the time you are less likely to want that indulgence since you already have a great day of healthy eating behind you. On the flip side, you can tell yourself that you can have that craving after that time but until then eat healthy. 2. A lot can go down at snack time. It all boils down to whether you are prepared for it or not. Prep your snack for the day ahead of time so that you have something ready to go and aren't falling back on some calorie splurge. Or create a healthy snack basket that you can dig into so you have options ready. Think nuts, cheese, greek yogurt, fruit, vegetables, etc. 4. Realize that it really is mind over matter. The more sugary or processed foods that you give yourself the more your brain becomes hardwired to want more of it. Realize that your brain is fooling you. It is constantly telling you that you will be so much happier with that coke or candy bar or fast food burger. But really when you are finished with it, are you that much happier and satiated? Maybe temporarily but then after you blood sugar levels begin to spike and you start to feel the unhealthy affects you can be guaranteed that you would have felt better about yourself if you had only chosen a healthier option. Other people will try to encourage you to have fun and eat or drink more. You just have to decide if it is worth the happiness now or the satisfaction later. 5. That leads to: Letting others know that you are trying to limit your unhealthy eating habits. It will make you more accountable for your actions and will hopefully gain you some support. Most people want to be healthy but they just don't have the willpower to do it on a consistent basis. If you start, your actions can encourage your loved ones as well, making it easier for them to stick with the process. I know my husband wants to eat healthy but I have to be the one to make that healthy meal otherwise he will never start. 6. Eat the same meals as your family just tweak yours a bit. Leave some of the fattier toppings off your entrée, skip the tortilla and just use a lettuce wrap, add a salad to your dinner. Simple things like this can add nutritional value to your diet and not affect those around you. 7. As far as drinks are concerned, sip slowly! Let a small amount work it's magic on you. You don't need tons of drinks to have a fun time. Instead, nursing one drink all night can really do the trick. You save calories, you still have a drink in your hand, and you are consciously enjoying it. A tip for those who crave soda: don't buy the cans. I find that I crave soda when I see others drinking it. So I have a liter bottle and a tiny glass that I fill up and allow myself to drink and that's it. I don't even care to have more since those couple sips did the trick. So, we have to mention the Boston Marathon, right? :) The commentators said it right, "We Americans had a lot to root for"! It was a fun race to watch. Congrats to all the runners...I can't say I'm not jealous of you. Here's a great Boston Marathon recap. There are always inspiring stories at the Boston Marathon but this one on a Boston Marathon Bombing Survivor crossing the finish line really struck some beautiful chords. Are you a subscriber to Fitness Magazine? If not you may want to pick up this month's edition which is all about running! Why do you run? Is it truly something that our body's were made to do? Here is a great article that shows us that we were made for endurance running. Want a stronger core by summer? Follow these tips. 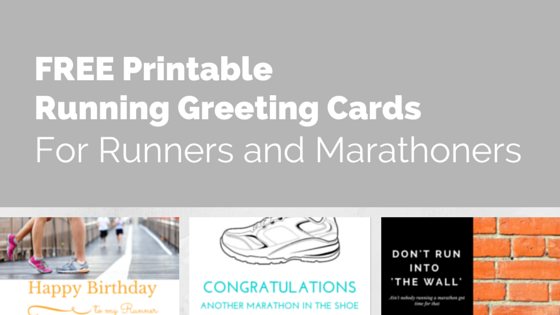 There has been a lot going on over at All About Marathon Training . Whether there really are benefits to wearing compression running socks.